Electron Microscopy to determine synaptic profile changes of neurons after kindling, or seizure inductionand molecular research inchanges of CTBP and NRSF interaction in different conditions. Electron Microscopy to determine synaptic profile changes of neurons after kindling, or seizure induction. Shapiro Research Fellowship: Functional interaction of Lysine Specific Demethylase 1 activity and NRSF in different conditions with different cellular diets affecting the reduction/oxidation state of the cell. Retrospective study to determine the efficacy of institutional wide fluconazole prophylaxis for extremely low birth weight infants in preventing invasive fungal infections. Retrospective study: Do Critically Ill Children need higher doses of low molecular weight heparin (LMWH) to achieve goal anti-Xa levels? 1. Aziz M, Patel AL, Losavio J, Iyengar A, Berven M, Schloemer N, Jakubowicz A, Mathai T, McAuley JB. Efficacy of Fluconazole Prophylaxis for Prevention of Invasive Fungal Infection in Extremely Low Birth Weight Infants. Pediatric Infectious Disease Journal 2010; 29(4):352-6. 2. Schloemer N, Lozovatsky M, McClain R, Kent P. Sustained remission of Chronic Immune Thrombocytopenic Purpura with low dose hydroxyurea. Pediatr Blood Cancer. 2011 Sep;57(3):528-9. 3. Assadi F, Schloemer N. Simplified diagnostic algorithm for evaluation of neonates with prenatally detected hydronephrosis. Iran J Kidney Dis. 2012 Jul;6(4):284-90. 4. Reddy VB, Schloemer N. Polyarteritis nodosa in a 9-year-old boy. J Pediatr. 2013 Jan;162(1):216-216.e1. 5. Schloemer NJ, Abu-Sultaneh S, Hanson SJ, Yan K, Hoffmann RG, Punzalan RC, Havens PL. Higher doses of low-molecular-weight heparin (enoxaparin) are needed to achieve target anti-Xa concentrations in critically ill children*. Pediatr Crit Care Med. 2014 Sep;15(7):e294-9. 2. Schloemer, N., Morrison, J., Schoenike, B., Roopra, A. University of Wisconsin - Dept. Of Neurology. Lysine Specific Demethylase 1 Functionally Interacts with NRSF and REST4. Summer Research Forum, November, 2005. 3. Brickler, M., Schloemer N.J., Cao, Y., Hoffmann, R., McFadden, V., Block, J., Tower RL., Burke, M. Administration of Dexrazoxane Improves Cardiac Outcomes in Children and Young Adults with Acute Myeloid LeukemiaWhile Maintaining Survival Outcomes. May 2016, American Society of Pediatric Hematology Oncology Annual Meeting. 4. Schloemer, N.J, Acquazzino, MA, Schmidt, D, Anderson, L, Tower II, RL, Scott, JP. Targeted Screening in Pediatric and Young Adult Oncology Patients Identifies Transfusional Iron Overload. April, 2016. 7th International Nursing Conference on Child and Adolescent Cancer Survivorship. 5. Schloemer, N.J., Abel, AM., Ma, YQ., Thakar, MS., Malarkannan, S. Kindlin-3 impact on NK cell-mediated anti-tumor cytotoxicity and cytokine production. April, 2016. 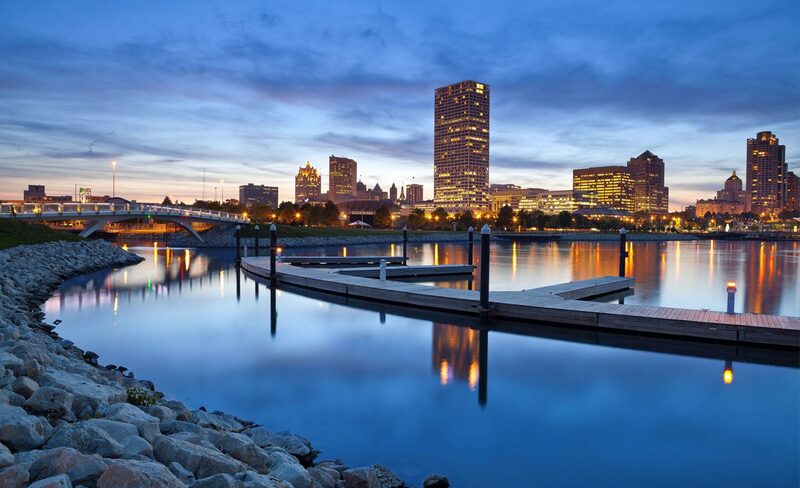 Milwaukee, WI. MCW Cancer Center Scientific Retreat. 6. Schloemer, N.J., Abel, AM., Ma, YQ., Thakar, MS., Malarkannan, S. Kindlin-3 impact on NK cell-mediated anti-tumor cytotoxicity and cytokine production. March, 29, 2016. Milwaukee, WI. Department of Pediatrics Resident/Poster Session. Selection for Oral Presentation. 7. Schloemer, N.J., Abel, AM., Ma, YQ., Thakar, MS., Malarkannan, S. Impact of Kindlin-3 in NK cell-mediated anti-tumor cytotoxicity and inflammatory cytokine production. December 5, 2015. Orlando, FL. American Society of Hematology Annual Meeting – Oral Presentation. 8. Schloemer, N.J, Acquazzino, MA, Schmidt, D, Anderson, L, Tower II, RL, Scott, JP. Targeted Screening in Pediatric and Young Adult Oncology Patients Identifies Transfusional Iron Overload. December 5, 2015. Orlando, FL. American Society of Hematology Annual Meeting. 11. William W. Xin, Yiwei Wang, Nathan J. Schloemer, Subramaniam Malarkannan, Fabio Cominelli, Wei Xin, Lan Zhou. Altered NK Cell Homeostasis, NK Immune-Modulation, and NK Tumor SuveilanceFunction in a Mouse Model of Colitis and Colon Adenocarcinoma Caused by a Targeted Mutation in the FX Locus. Gastroenterology, Vol. 148, Issue 4, S-323. 12. Schloemer, N., Thakar, M., Malarkannan, S. Role of Kindlin-3 in Natural Killer Cell mediated tumor killing. 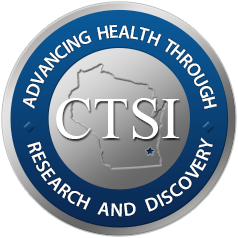 2015 Cancer Center Scientific Retreat, Milwaukee, WI, March 2015. 13. Maria Hintzke MD, Nathan Schloemer MD, Richard Tower MD, Gabriella Gheorghe MD. Refractory Anemia with Excess Blasts Type II (RAEB-2) Associated with Depakote Use in a Pediatric Patient. American Society for Clinical Pathology, October 2014, Tampa. 14. Abu-sultaneh, S., Schloemer N., Hanson, S, et al. "Critically Ill Children Require Higher Doses of LowMolecular Weight Heparin to Achieve Therapeutic Anti-Xa Levels" poster presentation at ThePediatric Critical Care Colloquium, September 2012, Santa Monica. 16. Schloemer, N., Assadi, F., Cameron, J., Ahmadi, M., Delfchahi, M., Lipkin, G. Simplified Diagnostic Algorithm for the Evaluation of Neonates with Prenatally Detected Hydronephrosis. 2nd International Congress of Iranian Society of Pediatric Nephrology. Abstr., July 2011. 17. Schloemer, N., Morrison, J., Schoenike, B., Roopra, A. University of Wisconsin - Dept. Of Neurology. Lysine Specific Demethylase 1 Functionally Interacts with NRSF and REST4. Summer Research Forum, November, 2005.